IBLP Romania is seeing God’s hand at work! The following is a report from one of the staff members in Romania. Thank you for your prayers for the Lord’s work in Romania. The IBLP ministry has seen much fruit this year, for which we praise and thank God. Now with the nationwide accreditation of the teachers’ character elective, we expect more educators to enroll. The second version of the online platform is finalized also to accommodate the increased number of individuals taking the course this fall. Staff and faculty of the Christian school we worked with. Many of them have registered for the online course. Earlier this quarter, I had the opportunity to submit to the Minister of Education’s office the Biblically-themed placemats for evaluation. If approved, they will be used by parents and schools that choose to apply them as supplemental material for religion classes! At the beginning of the year, the placemats met with overwhelming approval from one member of the Minister of Education’s office, so we are hopeful that the other members will soon be approving this teaching tool. Following submission of the placemats, I was invited to present the character training program to sixty officials in charge of Romania’s elective programs. After my presentation, twenty of these officials enthusiastically registered for our training program! Adding further to our excitement and blessings, a private Christian school which has previously shown interest in our character program invited me to help implement the program at their school. In May I went to this school, located in Dolj county, where I trained teachers in how to effectively use the character training program in their day-to-day teaching! Please partner with us in prayer for this coming school year and for the Ministry of Education’s approval of the placemats. 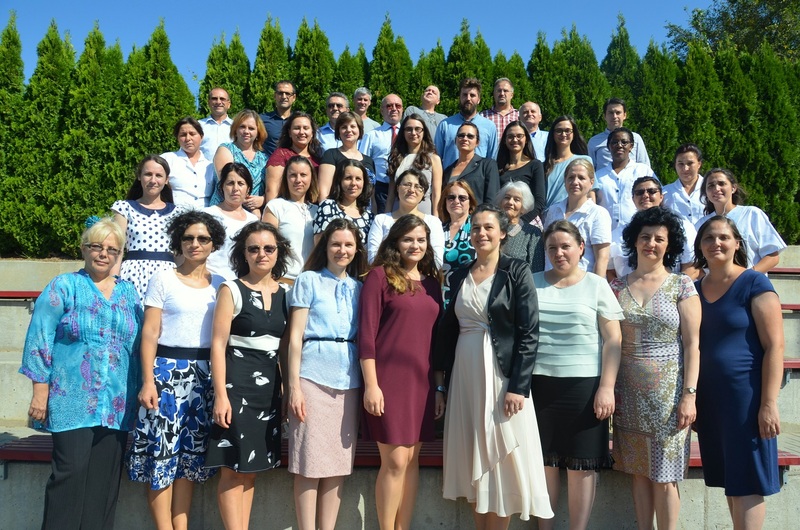 This has already been a year of blessings and growth for IBLP Romania, and we thank you for your support.